"The amanita muscaria is a symbol of good-luck, famous for forming “fairy rings,” and is quite poisonous, causing delirium and hallucinations. 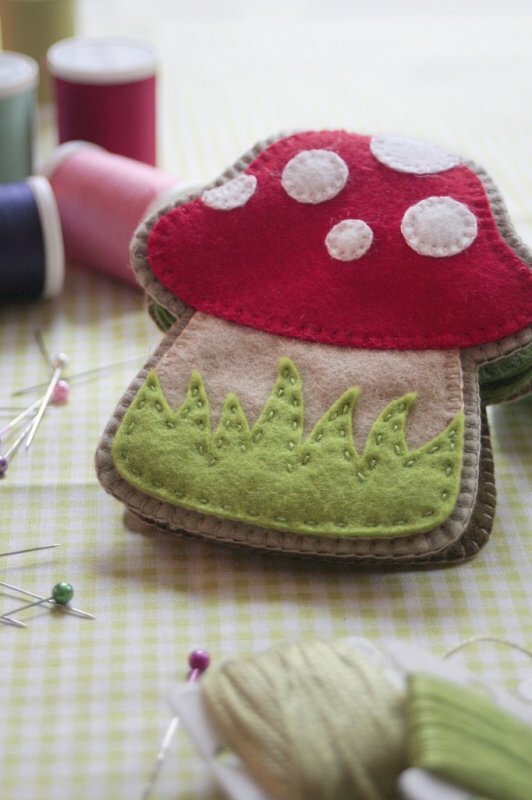 Eye-catching and adorable (as fungi go), this colorful character makes a great appliqué motif, and sewn up as a needle-book amanita muscaria will definitely earn a place in your sewing kit. This needle book is very easy to put together with a few colors of felt, embroidery floss and only two stitch types."